Life After Life– I know! I am very upset it didn’t click for me and yes I’m in the minority here. I tried to read it last year and DNF. Then I had to pick it back up for book group and tried audio and print. Loved the premise and writing was gorgeous but I got tired of the groundhog day feel to it. Darkness fell swiftly. Eat, Pray, Love– I loved the Italy eating part and traveling to India and Bali (two places I’m dying to go to) but…it all felt like “first world problems”. And then darkness fell. 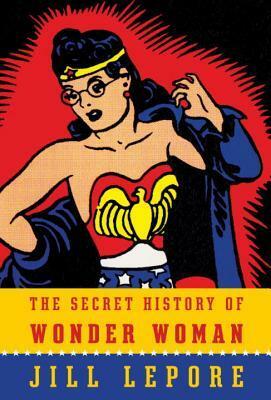 The Secret History of Wonder Woman – Fabulous original photos and some cool information about the creator and origin of WW. I was so excited for this book as a huge fan of WW but I ended up skimming most of it. Darkness fell. 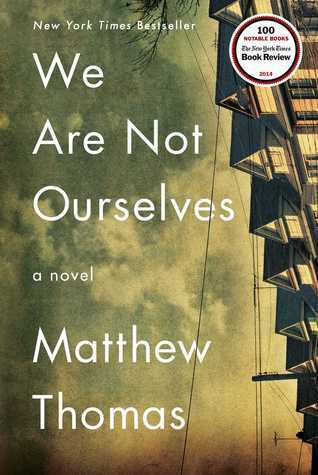 We Are Not Ourselves – At the beginning I was hooked and thought it was going to be a fave and then darkness fell. Lucky Us – The cover is cool but then darkness fell. 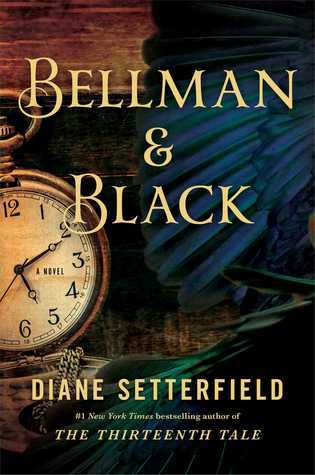 Bellman & Black – I really wanted to love this book as much as I loved The Thirteenth Tale and yet darkness fell. The Rise & Fall of Great Powers – At a loss. One breath, Darkness. My Sister’s Keeper – It’s not that I didn’t like this one and it was great controversy for book group discussion. Maybe I felt manipulated a bit and it’s funny because I’ve never picked up another Picoult book since. Darkness fell. 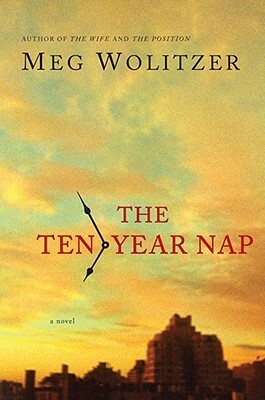 The Ten-Year Nap – This is a painful one to admit because Meg Wolitzer is one of my all-time favorite authors. But I included it because it was the first book I read of hers, liked it ok and then LOVED her others. It’s to prove a point to not give up on an author because one of their books didn’t work for you. (I guess I should take my own advice with the Picoult comment above). And then darkness fell. Are there books you were very sad about not liking as much as you thought you would or should? 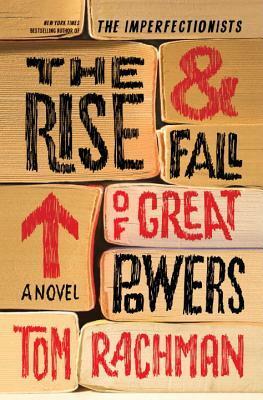 Tags: bookish disappointments, books that fell flat for me, top ten tuesday. Bookmark the permalink. 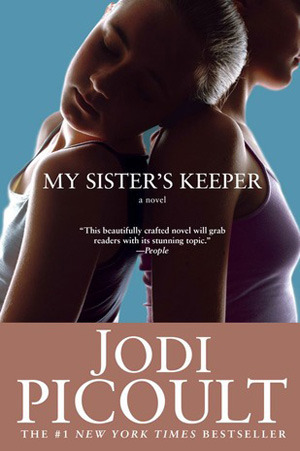 I did like Jodi Picoult’s “My Sister’s Keeper.” Difficulty moral choices are fascinating to me. I like your approach. It affirms my belief in humanity when i see that there is someone else out there who didn’t like Eat, Pray, Love. I also didn’t like Bellman and Black and quite a few of the others you’ve listed i didn’t even bother trying. I could just tell they weren’t for me. Doesn’t mean they aren’t great books, just not for me. Agreed! And the fact that I came up with ten (left out a few more) in a lifetime of reading is not too shabby, I guess. Girl, I hear you. I tried Life After Life, and COULD NOT get into it, and haven’t tried it again…. so maybe I just won’t. ALSO with Eat, Pray, Love AND Lucky Us!!! 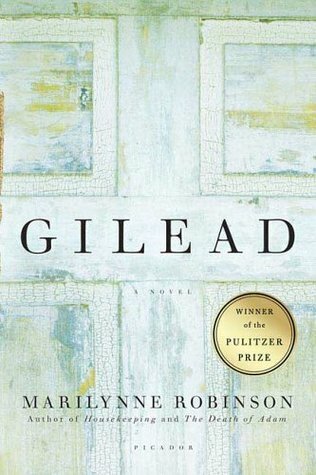 It makes me nervous to read Gilead now…. Whew! I’m not a crazy person after all. Gilead is the most upsetting on this list because I’ve heard such rave reviews and then there is a sequel that many are fawning over. Gotta go with the gut after a few chapters and move on…I have much to read! I’m with you on Eat, Pray, Love! I thought the Italy section was great and then could barely get through the other two. I liked her less and less as the book went on! Ugh Bellman and Black was SUCH a disappointment! 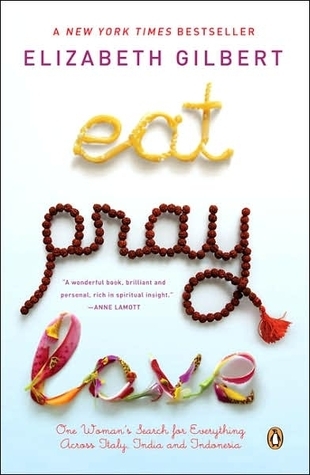 Totally agree on Eat, Pray, Love….loved the Italy section and then hated the rest of it! And, I’m opposite you on We Are Not Ourselves…the first part dragged for me, but I loved the back half. Great topic this week! I’m so bummed about the Wonder Woman book! I’ve been looking forward to that one and will still give it a try, but I’ve heard nary a peep about it other than your darkness. 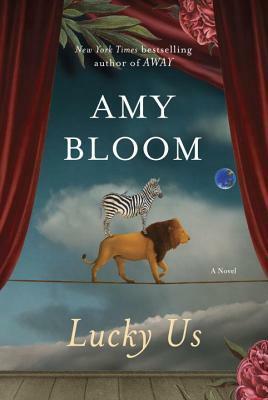 I read Lucky Us, and finished it, but was not blown away. I liked a lot of the language, but in the end couldn’t even muster a review. Great idea for the freebie post, I loved it! And it’s always nice to see what someone else put down, whether I had the same experience or not. Oh, for me it’s all the Michael Chabon fiction. I read two of his books in full and DNFed two others, and every time I felt like I was just reading him wrong. Because surely I should like these books! That everyone likes! And that I agree are well-written! But still somehow I hate them. It’s just a case of no book being for every reader. My Sister’s Keeper is one of my favourite books. Ah well, not every book is for everyone. 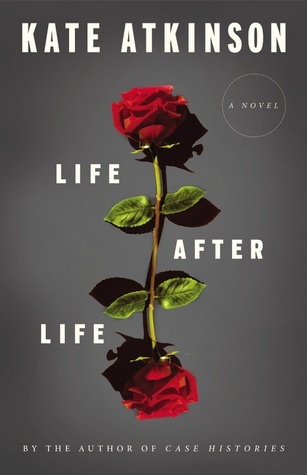 I did really enjoy Life After Life, but I did get frustrated after a while with the whole darkness falling bit. Ahh, Bellman and Black. I was so desperate to enjoy it and I was sure it would get better at some point. It was such a huge disappointment to get to the end and realise I’d just wasted a few hours of my life. I completely understand how you feel because I’m going through that feeling with a few books at the moment. I also didn’t make it through Eat Pray Love. I loved the idea of it and all the travel, but her character was too self-centred for me to stick with her.